Breakfast was so good as we enjoyed the traditional Japanese breakfast while we stayiing at this Royton Hotel. 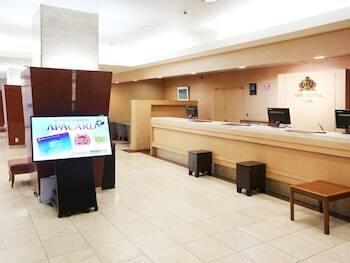 Where to find Sapporo hotels near an airport? 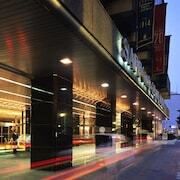 How can I find hotels in different Sapporo neighborhoods? 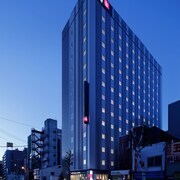 Where can I find hotels in Sapporo that are near tourist attractions? Visitors to Hokkaido are spoiled for choice when it comes to booking quality hotels and apartments in Sapporo. The Expedia database contains 100 accommodation options within a 0.1-kilometre (0.06-mile) distance of Sapporo's center. 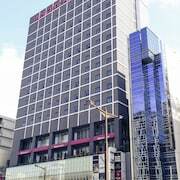 Canny vacationers who fully appreciate the importance of basing themselves close to the action and bright lights of the city's heart will love the JR Tower Hotel Nikko Sapporo and Century Royal Hotel, all of which are located within 1 kilometre (0.6 miles) of Sapporo's downtown area. The district of Chuo-ku has 3 apartments and hotels. It is 3 kilometres (2 miles) from downtown Sapporo and is one of the more commonly visited hotel districts. 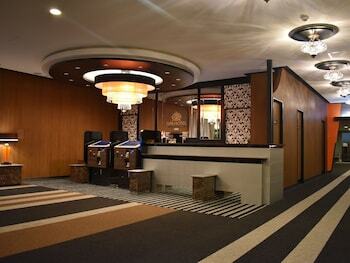 The Sapporo Prince Hotel and Royton Sapporo are some of the places to stay here. An alternative area to stay is Jozankei which is around 19 kilometres (12 miles) from downtown Sapporo. 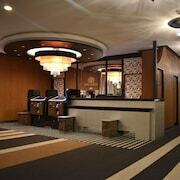 Jozankei has 9 hotels, including the Jozankei Tsuruga Resort Spa MORI no UTA and Shogetsu Grand Hotel. 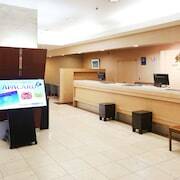 You can also find somewhere to stay in Chitose, which is home to the Lake Shikotsu Tsuruga Resort Spa MIZU no UTA and Crowne Plaza Ana Chitose, or Otaru, home to the Kuramure and Asari Classe Hotel. Kita Ward is 8 kilometres (5 miles) from Sapporo's downtown, while Otaru Canal is 30 kilometres (20 miles) from central Sapporo. 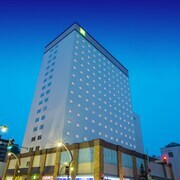 The Chateraise Gateaux Kingdom Sapporo Hotel and Spa Resort and Hotel Sunroute Sapporo are located in Kita Ward, while Hotel Nord Otaru and Hotel Sonia Otaru are situated in Otaru Canal. Sapporo is well known for the Sapporo Beer Museum. 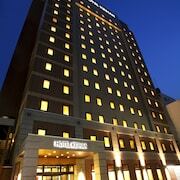 The Novotel Sapporo Hotel and Jasmac Plaza Hotel, are all within walking distance of Sapporo Beer Museum. The Hotel Gracery Sapporo and also the Hotel Okura Sapporo are within strolling distance of the Clock Tower, while the Cross Hotel Sapporo and Hotel Clubby Sapporo are situated near the Hokkaido University. The Odori Park and the Sapporo TV Tower are two other often-visited Sapporo destinations. 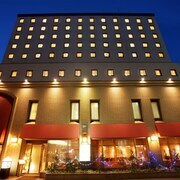 The ANA Hotel Sapporo and the Sapporo Grand Hotel are within walking distance from the Odori Park. 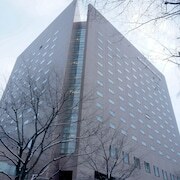 While the Keio Plaza Hotel Sapporo and the HOTEL MYSTAYS PREMIER Sapporo Park, are close to the Sapporo TV Tower. New Chitose Airport is located 40 kilometres (25 miles) away from Sapporo. If you wish to stay close by, can book a room via Expedia at the Hotel Wing International Chitose or Hotel Route-Inn Chitose Ekimae. 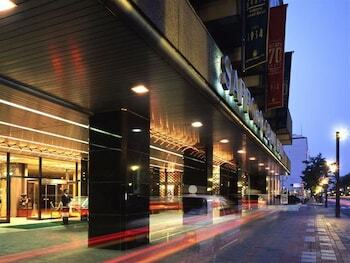 What are the most popular Sapporo hotels? Are there hotels in other cities near Sapporo? What other types of accommodations are available in Sapporo? Explore Sapporo with Expedia.ca’s Travel Guides to find the best flights, cars, holiday packages and more!